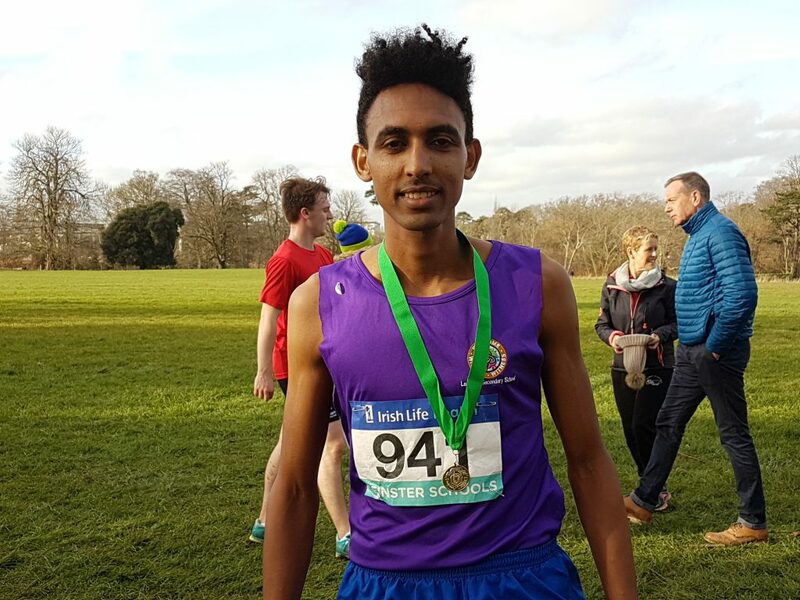 On a perfect spring day in santry Clonliffe Harriers today hosted the Leinster schools cross country championships. The highlight of the day was Efrem Gidey’s win in the senior boys 6000 race. Efrem was in pole position from the start and after a lap began to pull away and with considerable ease moved up through the gears to take a very comfortable win. He now heads to next month’s All-Ireland finals looking a strong favourite for back-to-back titles. 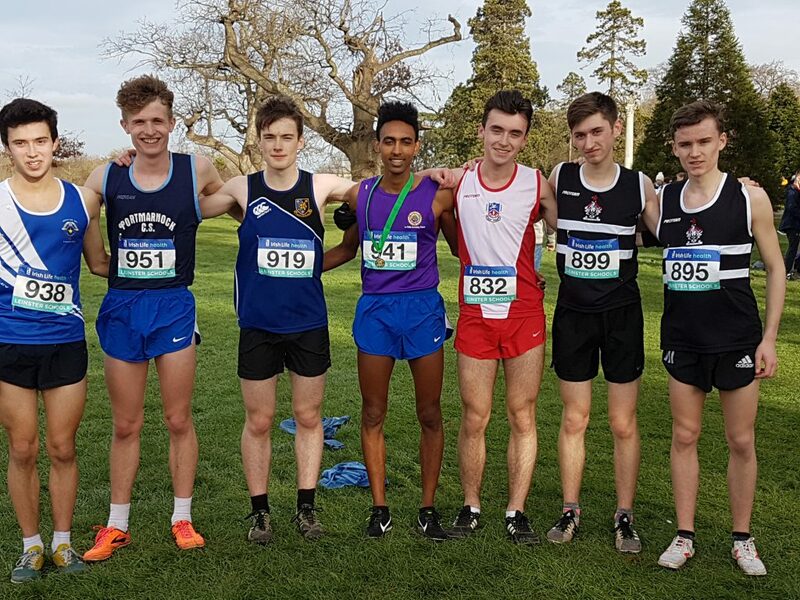 In the team event Daniel Stone and Ben Guiden fourth and eighth respectively leading Belvedere to a first Leinster senior cross country win in some 20 years. Find runs also in the senior boys race by Aaron Cullen in 10th place and Stephen Cashin grabbing the last qualifying place for the All-Ireland finals in an excellent 15th position. Good runs also today by Jordan Byrne, Thomas Balthazar and Ryan Sheridan. 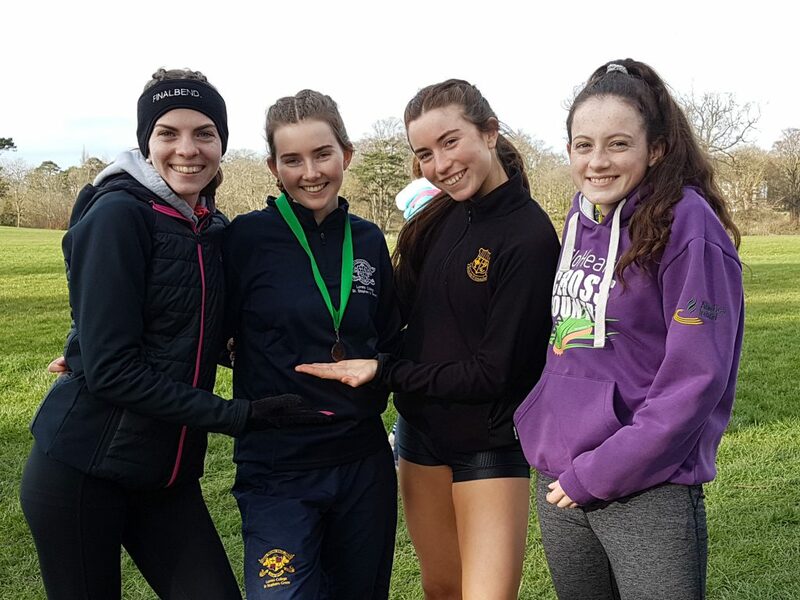 In the senior girls race the Clonliffe athlete all battled away with Katie Halpin the star performer as she once again moved up from the intermediate level to senior to finish in a fine 24th place. Next in was Ella Brown followed by Tess Loftus and Aimee Warren. Tess was on the Loreto on the Green team that took Leinster bronze and will now also head to the All-Ireland finals. In the intermediate girls race Sarah Bateson ran another battling race after a slightly dodgy start to comfortably qualify for the All Ireland with an 11th place finish. The inter boys race saw once again a great inter school and inter club battle between Callum Simpson and Evan Foster, these two athlete are possibly the most improved athletes in the club this year. Callum was slightly stronger to take fifth place with Evan Foster a hare’s breath behind in 6th. Good runs also by Niall Carbery, John Lawrence, Dermot Buckley and Alex Nuroth to name but a few. Callum, Evan, John and Dermot were all on the Aidan’s team that took Leinster inter gold. In the junior Girls race Lara Gallagher put in a fine performance to take a top 20 position, 18th with Orla O’Sullivan also running a fine race to finish in 25th position. Sean Boyne had a good run in the Junior Boys race. Official results not yet to hand. Congratulations to all of the club’s athletes on their efforts throughout a long cross-country season. The best of luck to those who will take their place in the lineup for the All-Ireland cross country on March 9th. A huge thank you to all of the club members who gave up their day to help with the course building and marshalling of the event. It was a great success which simply would not have been possible without the input and dedication of all you Harriers. Nil desperandum.